Our Children’s Lovefeast will be held this Sunday (December 21) at 11:00 AM. We gather for worship in the love of Christ as our youth and children lead our service. The Children’s Choir and the Junior Choir will sing and our youth will serve as dieners, Scripture readers and ushers. We will serve cookies and hot chocolate as our Lovefeast meal. Please invite all of your family, friends, and neighbors to this special Christmas celebration. 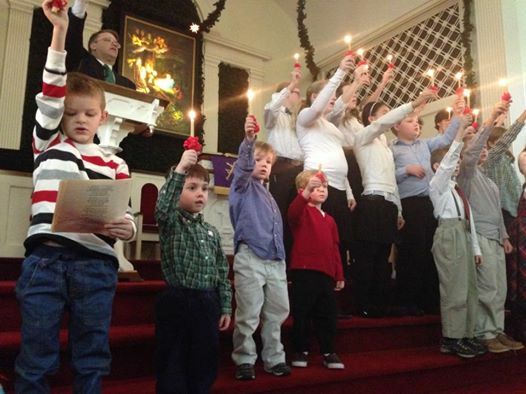 This entry was posted in Uncategorized and tagged Candle Service, Children's Service, christmas, Fries Memorial Moravian Church, Lovefeast, Moravian, Winston-Salem. Bookmark the permalink.